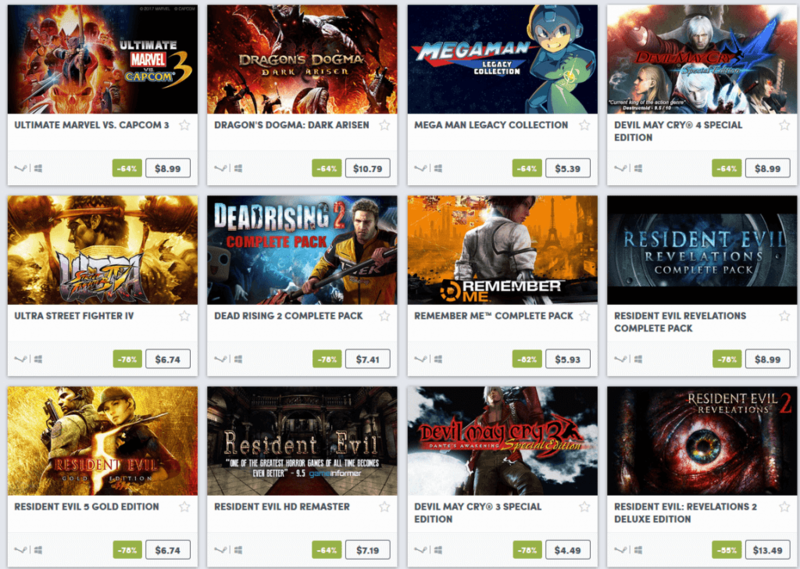 Capcom will be having a weekend sale on Humble Bundle! 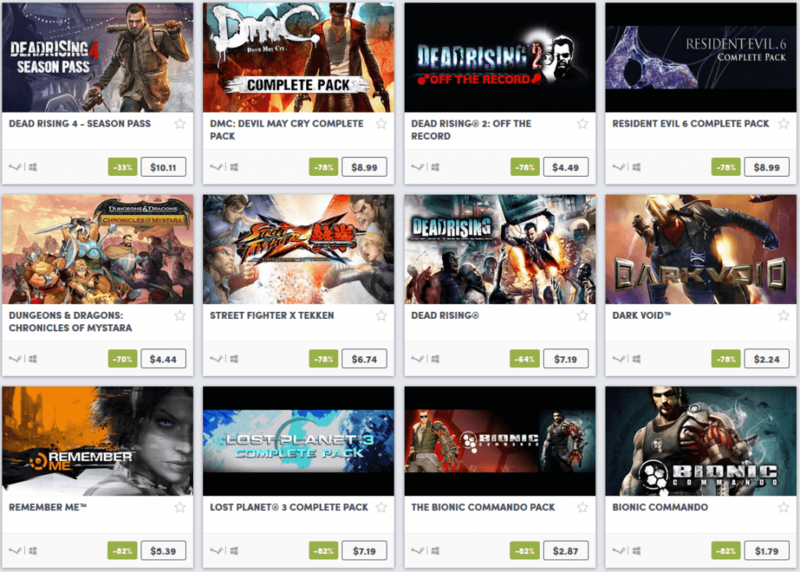 Up to 80% off, and it includes Street Fighter, Marvel vs Capcom, and more! 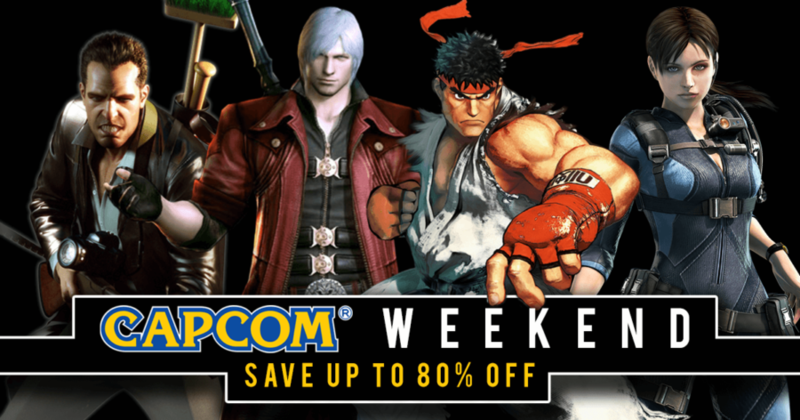 For this weekend sale, Capcom will be the one delivering us the goods. The giveaway runs from April 19, 2018, 10 AM Pacific Time, and it will end on April 23, 2018, at the same time. Capcom is a Japanese video game developer and publisher, and it is considered as one of the largest companies in the video game industry. They had created numerous multi-million selling game franchises, and they are obviously planning to do more in the future. Mega Man Legacy Collection @ 60% Off: The collection is composed of the classic Mega Man games with new game modes, and improved visuals. If you are a rocker for classic games, then this is a must buy. Mega Man Legacy Collection 2 is also available @ 33% Off. Devil May Cry Series up to 75% Off: This series is famously known for its extravagant hack-and-slash gameplay, and players must chain attacks to get a higher score after each mission. If you like a fast-paced game, then here’s a good series for you. PS: I highly recommend you to play the original trilogy before playing the reboot. 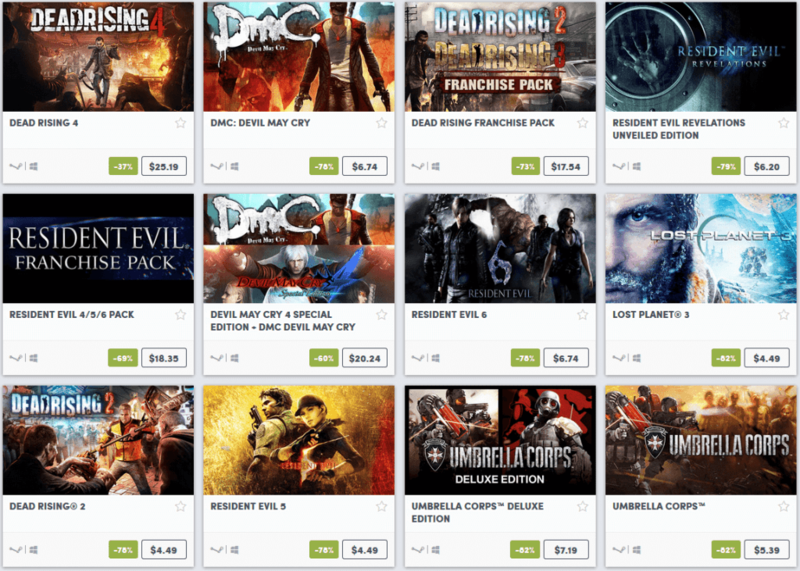 Dead Rising Series up to 75% Off: Famously known for its zombie apocalypse settings, Dead Rising is probably one of the funniest and most decent zombie franchises out there. I will warn you though, the first two games are probably the hardest of the series, while the latter games of the franchise are more streamlined and easier to pick up. 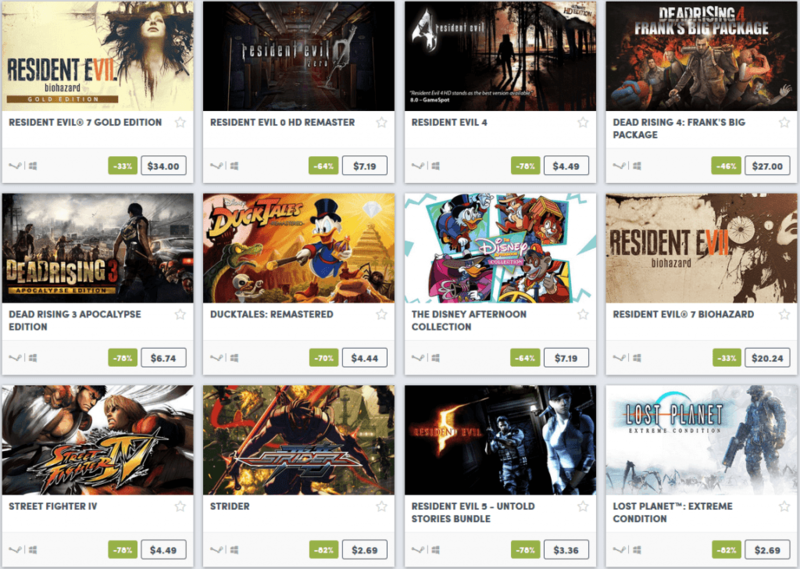 Resident Evil Series up to 77% off: Another zombie game that is not really a zombie game anymore. Resident Evil has its ups and downs throughout the years, but all their games are either good, very good, outstanding, or outright terrible. All I can say is avoid Umbrella Corps like a deadly plague. There are other games that you may look into such as the Street Fighter franchise, but I don’t recommend getting them for the sole reason of fighting games being not a good game for the PC platform. Games that you may buy!